Book a ferry to Kirkwall with AFerry. Ferries to Kirkwall, in Orkney, are available from Scotland and Shetland. You can take a ferry to Kirkwall from Aberdeen and Lerwick. Ferries to and from Kirkwall are operated by NorthLink. When you search for a ferry to Kirkwall, we will always show a range of times just in case it's cheaper earlier or later than the time you select. Kirkwall ferries with NorthLink are known for their comfort and high levels of service, and you will feel like your holiday has begun the moment you step on board. 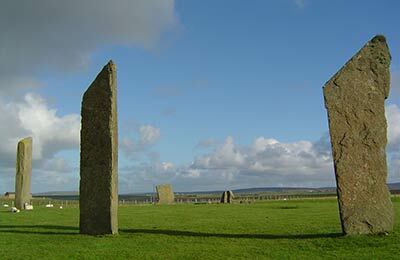 Travelling to Kirkwall will be easy and hassle free. Start by making your booking today, it's quick and easy. 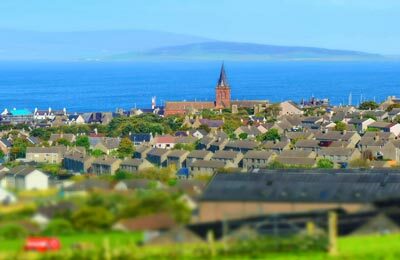 Kirkwall Ferry Port is located 2-3 miles from the centre of Kirkwall, once in Kirkwall follow signs for the ferry port. Kirkwall Bus Station is located near the centre of Kirkwall. Northlink Ferries then operate a bus service between the bus station and Kirkwall Ferry Port. You can find all the latest departure points and sailing times below alongside a list of our best prices.